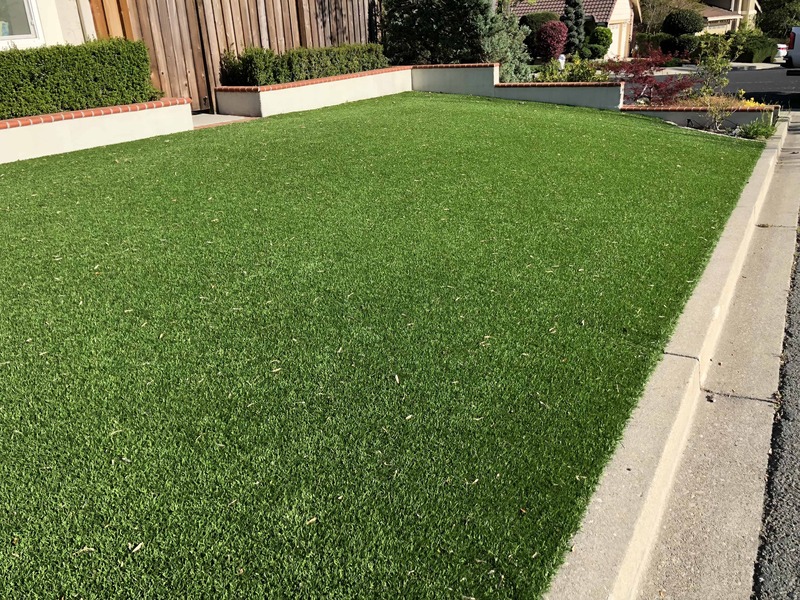 Take a look at this artificial grass installation in Walnut Creek, California. You would never guess it is 10 years old. We thought we would take some time today to celebrate the anniversary of this lawn by looking at several benefits associated with their artificial lawn. Artificial grass made sense for these home owners. Let's get the backstory. The owners of this yard were tired of maintenance associated with their traditional grass lawn. Natural lawns require regular mowing, watering and other things like pesticides and fertilizers to keep them looking green. That is awfully hard to do in California because water usage is generally restricted due to recurring drought conditions. As a result, natural lawns typically incur brown spots, or worse, bare patches due to lack of water. And while you could install an irrigation system to regulate usage, those can be costly. We will get to that a bit later. So, all things considered, these homeowners opted to replace their 800 square-foot lawn with artificial grass. At 10 years old, it still looks amazing! In fact, it is just as green as the day it was installed. And the savings? Well, the owners aren't complaining. Artificial grass has definite cost advantages over traditional grass lawns. Just how much you save depends on the size of your lawn and a few other things. To that end, let's take a look at a few of the factors involved. After careful consideration, you will see why artificial grass made sense for these homeowners. Before we get to that, however, let's do some housekeeping and review the average installation cost of artificial grass. 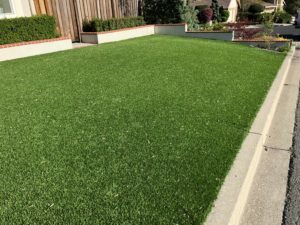 Installing an artificial grass lawn involves two steps. First, you must select and purchase the product. Then, you must pay for the install. This is where Artificial Grass Pros is unique. We own NewGrass, our own manufacturing company. Choosing us gives you freedom and control. You can choose your product and get it installed from one company. One stop shopping is always more convenient and hassle free. So back to installation cost. All things considered, an average installation cost typically comes out to about $15 per square foot. Using this average install price of $15 per square foot generates a total cost of $12000. 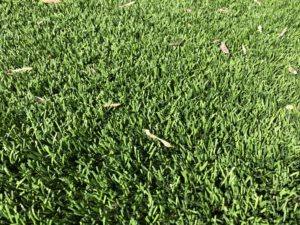 Now, let's look at the actual cost of maintaining a traditional lawn and see how it compares to this 10 year old artificial grass installation. In total, maintaining a traditional lawn cost on average about $2,000 per year. The reason? Natural lawns require an incredible amount of attention. Here is a quick rundown of what's involved. Looking at the list could make you aware of things you have not considered before. The average cost for monthly lawn maintenance is $75-$100 per visit. That's $900-$1200 each year just to cut your grass and remove minor yard debris. Next, you have to add in fertilizer treatments, pesticides and other basic maintenance (like landscaping and yard debris clean up). These add additional costs. Also, there is the issue of water. A standard irrigation system installed for your lawn will typically run anywhere from $2500-$3500. The install is a one-time cost, However, water usage is another story entirely. In states like California, water usage for 700 gallons could easily run north of $100. And while this accounts for water usage inside and outside the home, not having to water your lawn will put a dent in the bill for sure. Finally, don't forget electricity. Most of today's modern irrigation systems are computerized. They require electricity for timers and basic operation. Electricity could sneak up on you again if you use electric lawn equipment as well. then there are repairs. When your sprinkler system breaks, cost is an issue. Repair costs are generally somewhere around $200. Of course, you can always dig the lawn yourself if you want to. You still have to pay for supplies and ultimately sacrifice your time for repair savings. It's better if you don't need a sprinkler system at all. Once you put it in perspective, it's easy to see why artificial grass made sense for these homeowners. 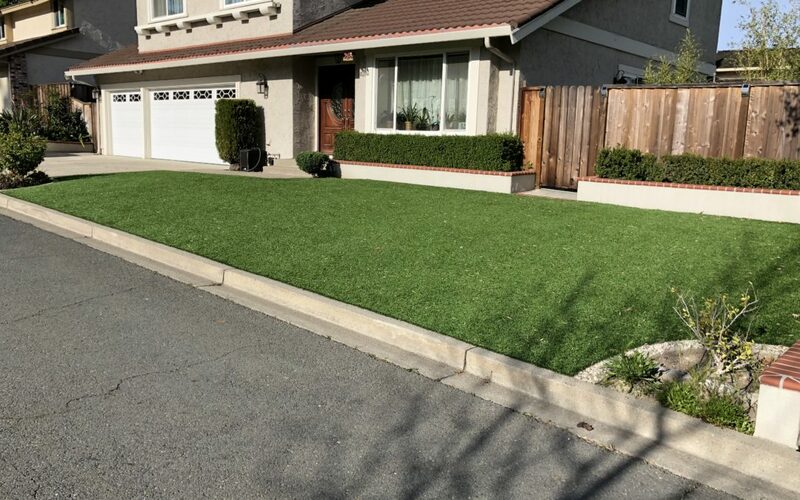 So let’s do the math and see just how much these homeowners saved by switching to artificial grass. With an average maintenance cost of $2,000 per year, a traditional lawn will cost right at $20,000 to maintain over a 10 year period. SO how much did they save by making the switch? Finally, take one last look at this lawn. After 10 years it still looks brand new. We expect it to last another 10 year. So what doe homeowners savings look like for 20 years? $15 per sq ft – $12,000 install cost. Maintaining a traditional lawn for a 20 year period costs $32,000. Keep in mind, this is cost savings associated with lawn maintenance. Add in sprinkler system installs, equipment repair and other hidden costs mentioned previously and the savings are even more. Think of it like someone cutting a check to you for $20,000. What could you do with that? Vacations? Travel? Investments? The sky is the limit. We are ready to help. Have you considered switching to artificial grass? Contact us today for a free quote. 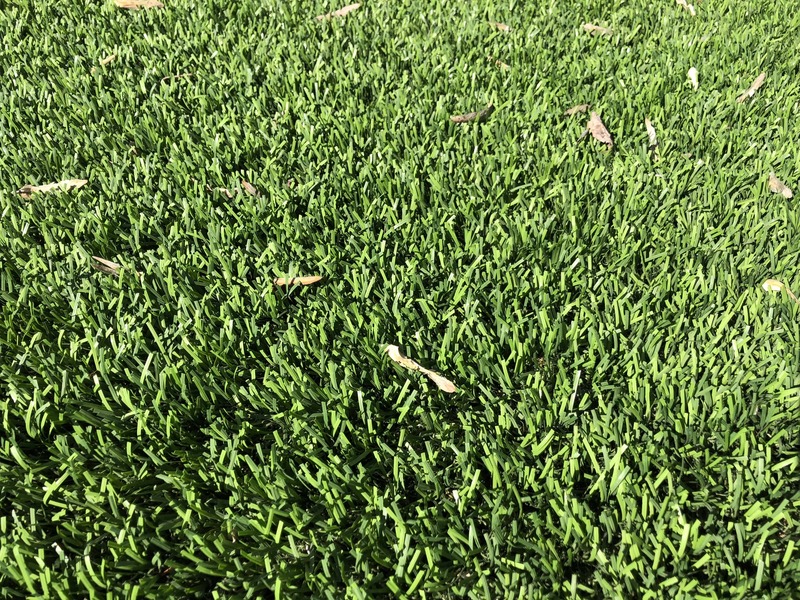 We are happy to explain why artificial grass made sense for these homeowners, and why it can makes sense for you home too.